In an age in which companies and academic institutions are struggling to seek good leadership in the face of flagging funding, short-term thinking and a confusing incentive system, it may be helpful to get some insights from three of the twentieth century's most talented scientists, thinkers and writers. 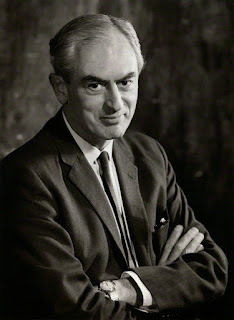 Peter Medawar who won a Nobel Prize for his discoveries regarding the immune system and organ transplantation also wrote eloquent books on science, its methodology and its human side. "I construe my function as director of research as mainly to create the kind of environment which is conducive to the advancement of learning. That sounds pompous, but this is all a director can do. You cannot direct people to have ideas, and no one can have a big enough grasp of the whole of biological science to be able to say which lines of research are certainly going to be fruitful and which are are certainly going to be a waste of time. So what one has to do is simply create an environment and an atmosphere in which science flourishes." In those few lines Medawar has hit upon the essential nature of the kind of independent-minded, open-ended, egalitarian research establishment which produces the best kind of science. It requires a measure of humility and foresight to understand that one cannot grasp the totality of any research endeavor which they are directing, and the best strategy therefore is to gather good people and then let them think and collaborate in their own ways. Today's CEOs, managers and thought leaders should take note. Over the years this message was not lost on a select few scientific institutions which became torchbearers of the high art of science. Bell Labs was certainly among them, but one of the very best was the Medical Research Council's Laboratory of Molecular Biology in Cambridge, established after the structure of DNA was discovered, and founded by pioneers of molecular biology like Francis Crick, Max Perutz, Sydney Brenner and others. 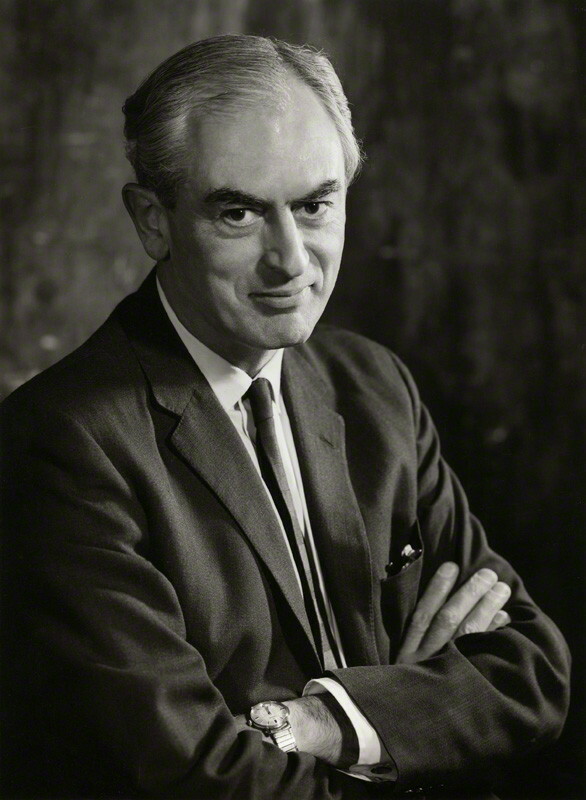 Over the last sixty years the LMB has produced no less than thirteen Nobel Prize winners (along with others who have been affiliated with the institute), an unprecedented achievement which it has bequeathed from its Cambridge predecessor - Maxwell and Rutherford's Cavendish laboratory which was another powerhouse of Nobel-caliber work. The mission of the LMB was, and is, to bring in the best scientists, not care too much about their prior publications but instead look at the novelty of their ideas, and then give them almost complete freedom to pursue those ideas. 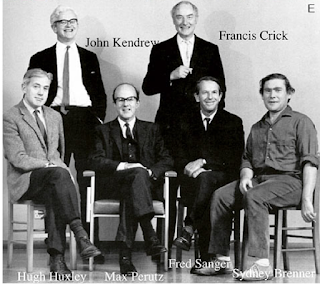 Of all the directors of the LMB, the one who exemplified its tradition best was Max Perutz. Perutz who shared the Nobel Prize for his pioneering work on the structure of proteins was known to be a very hands off director who at the same time naturally inhabited a role as an active, unassuming member of the hoi polloi. Perutz was a scientist's scientist - his last manuscript was submitted a few days before he passed away and appeared after his death - but he was also a warm individual who never thought of himself as a director. The LMB was always fiercely egalitarian, but never more so under Perutz. He had lunch and tea with the postdocs at the institute, shared his ideas with them, asked seemingly naive questions and never told anyone what to do. Oppenheimer had remarkable powers of persuasion and was seemingly and effortlessly attuned to the wishes of everyone among the thousands of people and their families working at Los Alamos. In spite of his persuasive personality however, he always made sure that everyone's ideas were heard. For instance he supported the idea of implosion that was proposed by physicist Seth Neddermeyer, taking him into a corner and asking him to keep thinking about it even when the idea met with opposition from leading scientists like Hans Bethe and Enrico Fermi. Once he encountered a pregnant woman on the street and lectured her on how to take care of her health. The woman who was at first indignant shortly admitted that Oppenheimer was right. Oppenheimer brought the same esprit de corps to his leadership of the Institute for Advanced Study in Princeton. He started the tradition of afternoon tea: "Tea", he said, "is where we explain to each other what we don't understand". As director he also made persistent efforts to bring together leading thinkers from the humanities and the sciences, so that the same institute that housed logician Kurt Gödel and physicist Albert Einstein also housed diplomat George Kennan and archeologist Homer Thompson. 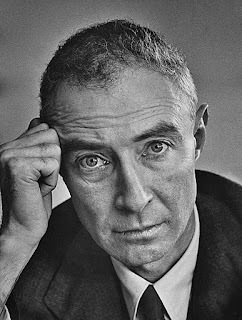 Whether it was addressing human concerns or scientific and intellectual ones, whether in the engineering milieu of Los Alamos or the rarefied milieu of the IAS, Oppenheimer supremely excelled at one of the most important tasks of any scientific leader - building bridges. "There must be no barriers to freedom of inquiry … There is no place for dogma in science. The scientist is free, and must be free to ask any question, to doubt any assertion, to seek for any evidence, to correct any errors.Our political life is also predicated on openness. We know that the only way to avoid error is to detect it and that the only way to detect it is to be free to inquire. And we know that as long as men are free to ask what they must, free to say what they think, free to think what they will, freedom can never be lost, and science can never regress." I've just finished reading a book that I won't name for now, as it's related to a project I'm working on, but it's on a particular drug discovery project, published in 2000. It talks about how technologies need a 'protected space', a niche, to flourish in. Bell Labs would be a great example of a protected space on this basis. From this perspective, could the likes of Medawar, Perutz and Oppenheimer be seen as the defenders and facilitators of protected research spaces? Well, the MRC and the IAS could be seen as 'protected spaces' (although I would have to read the exact definition). But *within* that protected space there was a lot of freedom. I think you can make the freedom to explore itself an essential criterion for defining a protected space. Great post. When giants walked the Earth.